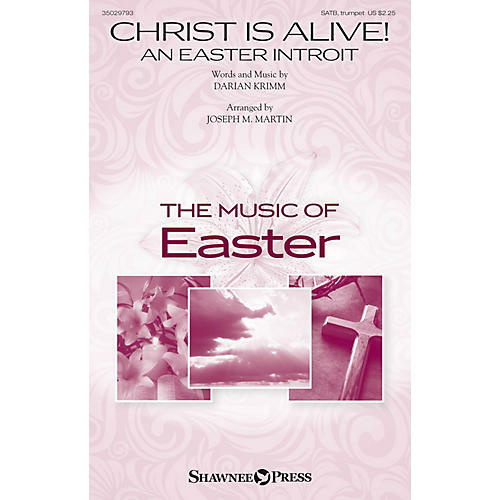 Uses: Easter, Introit Scripture: Matthew 28:6; Mark 16:1-14; Luke 24:1-7 An energizing anthem for Resurrection Sunday is found in this festive original. This call to purpose is the ideal opener for Easter worship celebrations. Joyful text-painting lifts spirits and climbing fanfare-like gestures announce the risen Christ. A rhythmic main theme brings a pleasing blend of contemporary and traditional elements to the overall style of the anthem. Powerful! Trumpet part included.